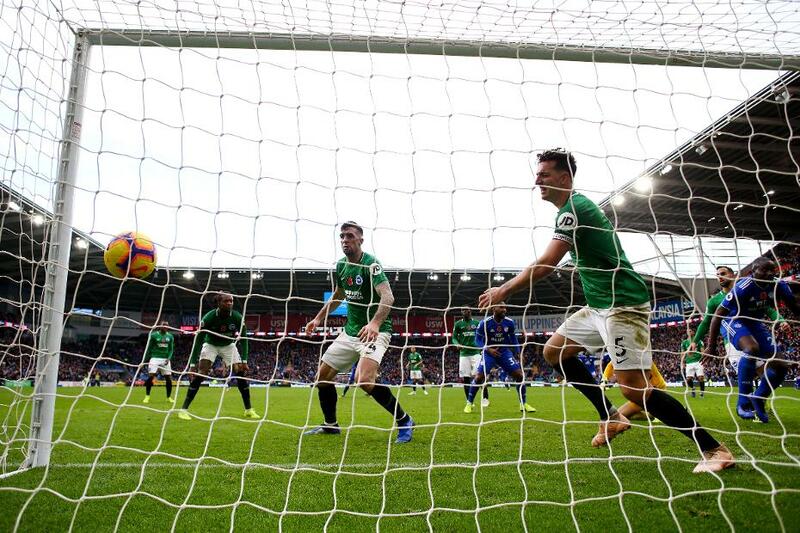 Sol Bamba’s last-minute goal against Brighton & Hove Albion earned a 2-1 win over Cardiff City. The defender's overhead kick bounced off the right post before the ball dropped to him again, and he fired it into the roof of the net. Lewis Dunk had given the visitors an early lead with a far-post header, before Callum Paterson headed in from close range after Kadeem Harris’s cross. Brighton’s Dale Stephens was then shown a straight red card for a high tackle on Greg Cunningham. After half-time, Harris hit the crossbar with a long-range strike for the hosts, while Brighton’s Jose Izquierdo forced a superb save from Neil Etheridge. Bamba's late strike moves Cardiff up to 18th on eight points, six places and six points below Brighton.